Growing your hydroponic vegetable garden inside can have its many perks. One of my favorites is not having to zig zag away from my garden every 5 minutes from bees during flowering. It’s easy to forget that bees and other animals are needed for some of the plants to produce fruit. 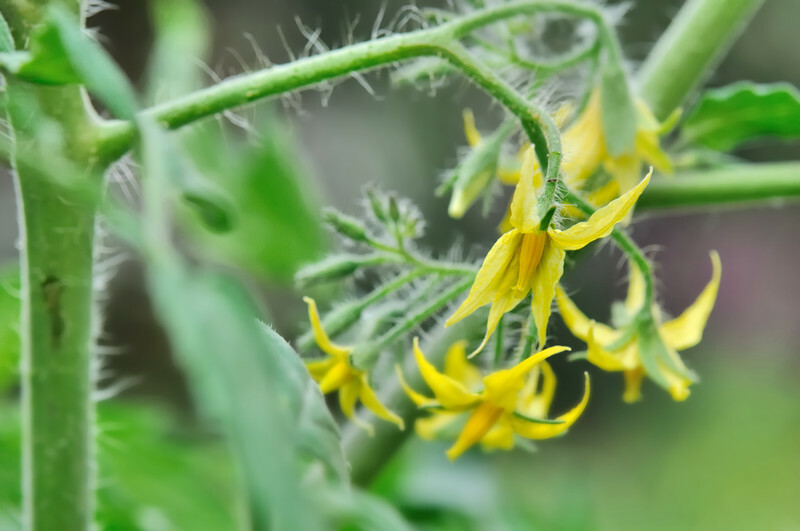 Not all vegetable plants don’t rely on attracting insects for pollination. Instead, they produce dry pollen to be carried by the wind. When hydroponic gardens are moved inside they lose the ability to be pollinated nature so you’ll have to do it by hand. Here are 3 methods of hand pollination to turn your flowers into fruits. The first type of pollination works for vegetable plants that have male and female parts on different flowers and doesn’t require any tools. The first thing to do is to find a male flower, cut it off of the plant and snip its petals back. As you do this, try to not touch the stamen as much as possible so pollen doesn’t transfer to your fingers. Next, you want to find a female flower on the plant that is blooming open with its petals pushed back. Touch the stamen to the stigma on the female flower, and gently roll it over the stigma. Repeat these steps, pollinating every female flower. The 2nd method of pollination requires a small paintbrush or cotton swab. Find a male flower and brush the stamen to collect as much pollen as possible. Next, find a female flower and brush the pollen you collected over the stigma of the female flower. This method of hand pollination works well for plants that can self-pollinate, like tomatoes, peppers, and green beans. They just need a little a little help to get the job done. Self-pollinating plants can be pollinated by setting up a fan or even by giving a shake a branch of flowers. Using a pollinating tool like the one below is also effective and has great reviews on Amazon. 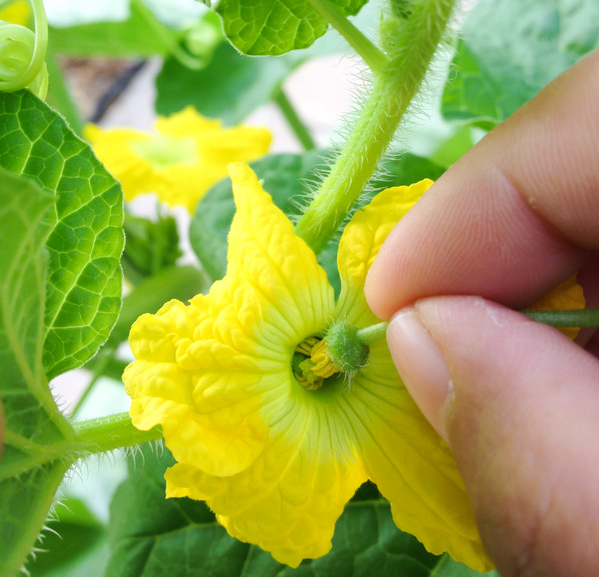 Pollination is an important step to indoor vegetable gardening. Without it, flowers will not turn into fruit. 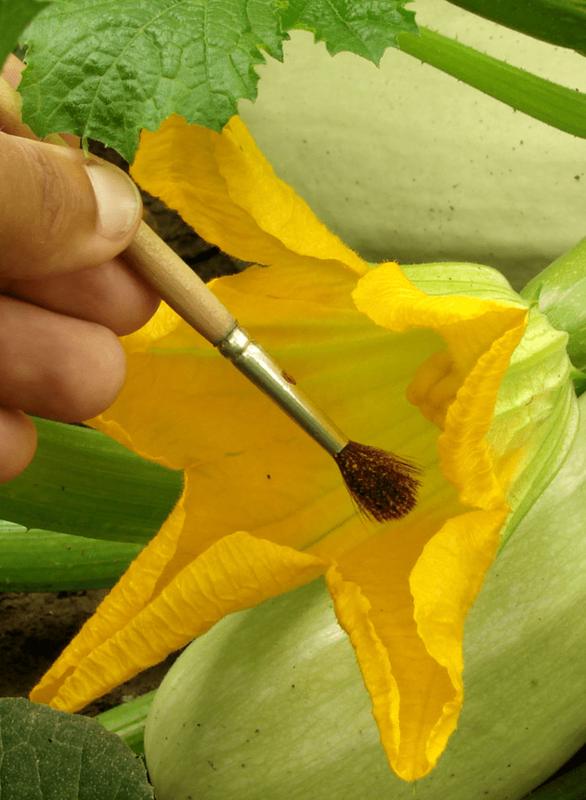 Be sure to repeat the process several times over the course of a few days to make sure flowers are well pollinated.